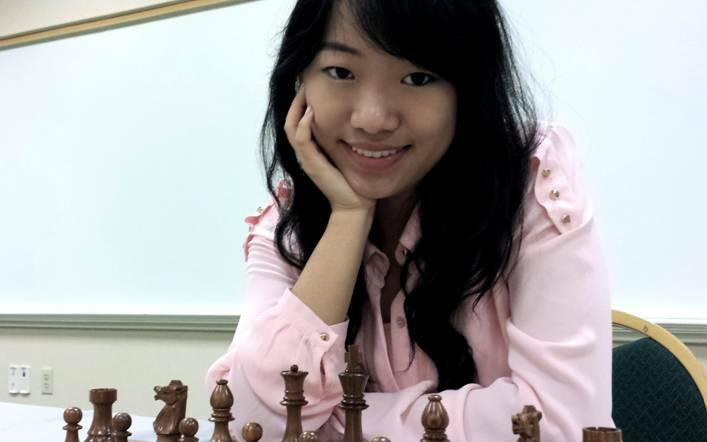 With the support of her IB coordinator and a local librarian, Yuanling Yuan, a 2012 IB Diploma graduate from Victoria Park Collegiate Institute, North York, Canada, turned her Creativity, Action, Service (CAS) project into an international volunteer organization called Chess in the Library. The group brings together new and veteran chess players alike in public libraries throughout the U.S. and Canada. Yuanling holds the title of Women International Master and is the number one ranked female Canadian chess player. Inspired by her desire to give back to the community that supported her during her chess career, she founded Chess in the Library. Now a student at Yale, her organization continues, run by IB student volunteers. She spoke with us about the inspiration behind her project and how the Diploma Programme helped her gain the skills she needed to get where she is today. What was the best part of the IB? The best part was getting to know the people who took the IB with me–they were persistent and very hard working. I was able to make a tight-knit group of friends that I got to know on a personal level. I also particularly enjoyed the math portfolio — modeling, making assumptions, hashing it out and making it all work. Chess is a logical game and there’s a lot of rational and quantitative reasoning. It connects to math in so many ways. A lot of chess players are somewhat intuitive when they encounter math. There’s also the CAS volunteer hours. Other schools in Ontario require 40 hours, but the IB 150-hour requirement really pushes students to get involved. The inspiration for Chess in the Library originated from wanting to give back to the community that really supported me during my chess career. Plus, doing that would fulfill my CAS hours, so it was killing two birds with one stone. I wouldn’t be here today if it wasn’t for the IB program. I probably wouldn’t have done the chess program, which differentiated me amongst a lot of other students when I was applying to Yale. Having learned social entrepreneurship through this program has encouraged me to look at entrepreneurship as a career path. The IB encourages entrepreneurship and it teaches you to put yourself out there and turn yourself into a leader. What is Chess in the Library and how does it work? We run chess programs in public libraries, similar to the way libraries offer reading programs or arts and crafts. When I originally had the idea, I felt that chess and libraries were a great combination. When you play chess you are supposed to be very quiet and disciplined. The environment in the library is perfect for that. The volunteers do a bit of teaching, they run tournaments and it is all at the grassroots level. We try to attract people who normally would not play. Lots of students started to love chess through the program and have now moved on to play in competitive tournaments. A few have even won national competitions in their age groups. We have programs for children, seniors and pretty much all ages, everyone is involved and it is completely free. The idea is to promote the game of chess and how chess can help kids learn by strengthening academic performance. There are many intrinsic benefits in the game. Chess has ties to academic performance – enhancing concentration, your ability to think ahead, and to be disciplined. It’s a chance to have fun and learn something that will help you later in life. Even today, I feel that chess has been one of the greatest gifts in life. A lot of people can’t afford to attend tournaments or take lessons, so the organization attempts to host tournaments, as well as a festival that brings in top players to the biggest library in Toronto. How did Chess in the Library begin to take shape? I received help and encouragement from my IB coordinator, Mr. Usprech. I started to look for places to fulfill my CAS volunteer hours and decided that instead of going somewhere else to do it, I could just do a project myself. When I approached the first library, the librarian didn’t take me seriously. I went every day after school to talk to the librarian and convinced her to host the project. Finally, she gave me a two-month trial period to prove the program was a great idea–this changed my whole life. I really wanted it to be a success and I was forced to put myself out there. I made flyers and handed them out to people I didn’t know. It started with just this library near my school, but we quickly found more and more volunteers, and formed a team to roll out the program. It has since extended to Toronto and other provinces in Canada. It took a lot of my time–I did way more than 150 hours – but I never counted — it was almost like my full-time job while I was studying and playing chess. I stepped down from leading the organization about two years ago, but the current president is also a Victoria Park student. You could say that the “headquarters” for the program is at Victoria Park. When I left, we had programs in 30 libraries with over 100 volunteers running them. Since then, more locations were added and it began expanding into the U.S.
Who inspired you as a young Chess player? I was first inspired by Judit Polgar, the number one female player in the world. She is incredible and competes alongside all the men, ranked among the top 10 players in the world. She was an inspiration for me because when I was growing up I would play in the boys division. Another inspirational player is Gary Kasparov, the former world champion. I aspire to be like him and my technique is much like his, so I look up to him. What is your favorite thing about Yale? Yale is a completely different world than I imagined. You look around and everyone has done amazing things, but people don’t flaunt it. I constantly find myself astonished by the new things I discover about my own friends, even after knowing them for a year or more. I’ll say, “I didn’t know this about you!” and they will say, “Well you never asked!” It is great to be around people who are motivated and hard working–students are the biggest asset of any university. What are some new activities that have become important in your life? I am the Marketing Manager for the Yale Daily News, our official daily paper and the oldest college daily in the country. My job involves graphic design, managing sales and anything that has to do with advertising. I also work two on-campus jobs: as a Student Tech assisting other students with computer issues and as a Teaching Assistant for an introductory microeconomics class. During my free time, I enjoy meeting fellow Canadians and organizing events through the Undergraduate Canadian Students Association, throwing a few kicks at Taekwondo practice, learning some new moves in Zumba class or simply playing some chess with my classmates. I want to make the most of my experience here on campus! Has being an international student shaped your world view? I have traveled a lot for chess and was able to go to the US, China and many countries in Europe. Seeing the world, seeing how cultures play out and how people live in different places has certainly changed my perspective and views. I’ve learned how to embrace different modes of thinking and I am able to see a problem and understand it from different perspectives. Interested in being a part of Chess in the Library? Visit their website!